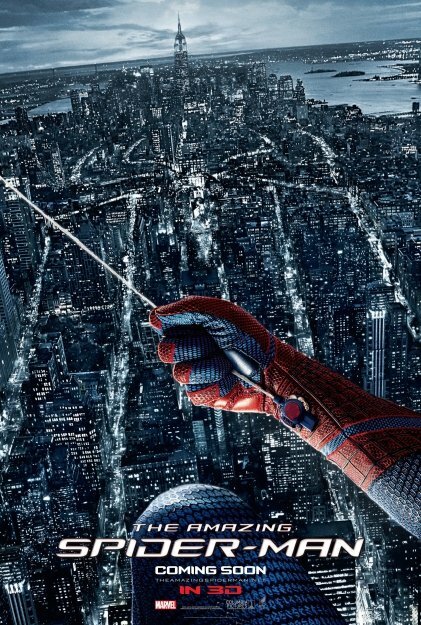 Spider-Man is making a homecoming in a couple of weeks in anticipation of his new film The Amazing Spider-Man. Check out where he’ll be and what he’s got planned below. In celebration of the release of The Amazing Spider-Man™ on July 3, 2012, Columbia Pictures has partnered with some of NYC’s premier cultural institutions to create Spider-Man Week in NYC, a seven-day calendar of events in all five boroughs. The week includes a volunteer initiative as Spider-Man teams with his fellow New Yorkers to give back to their community by helping out people in need. With special events at New York landmarks from the Empire State Building to the American Museum of Natural History to the Intrepid Sea Air & Space Museum, Spider-Man Week in NYC offers a chance to celebrate the film and the city that Spider-Man loves and protects. For a full calendar of events, fans can visit www.spidermanweeknyc.com. The celebration starts June 25th and runs through July 1st. Many of the places where events will be held include Midtown Comics, Yankee Stadium, Madame Tussauds, New York Botanical Gardens, and a tour of locations from the upcoming film. Opening in 3D, 2D and IMAX 3D theaters on July 3, the action adventure stars Andrew Garfield, Emma Stone, Rhys Ifans, Denis Leary, Campbell Scott, Irrfan Khan, Martin Sheen and Sally Field.